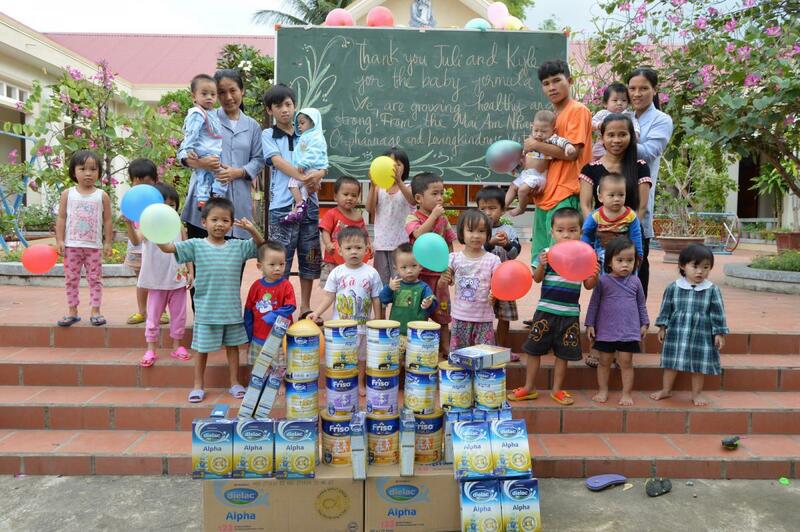 On December 14, 2014 we brought much needed baby formula to the Mai Am Nhan Ai Orphanage. This was the second trip in as many days sponsored by Juli and Kyle of the USA. 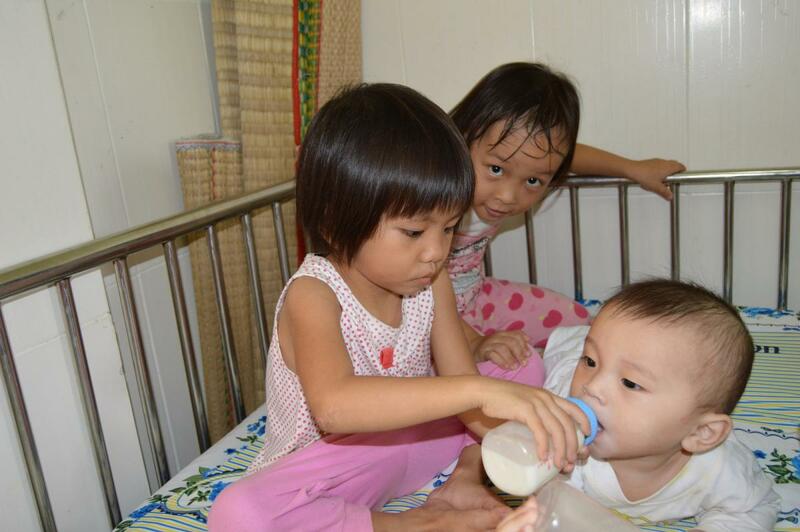 On the previous day we helped the orphanage complete their bathroom project, and we asked Sister Huong if they had any other pressing needs. 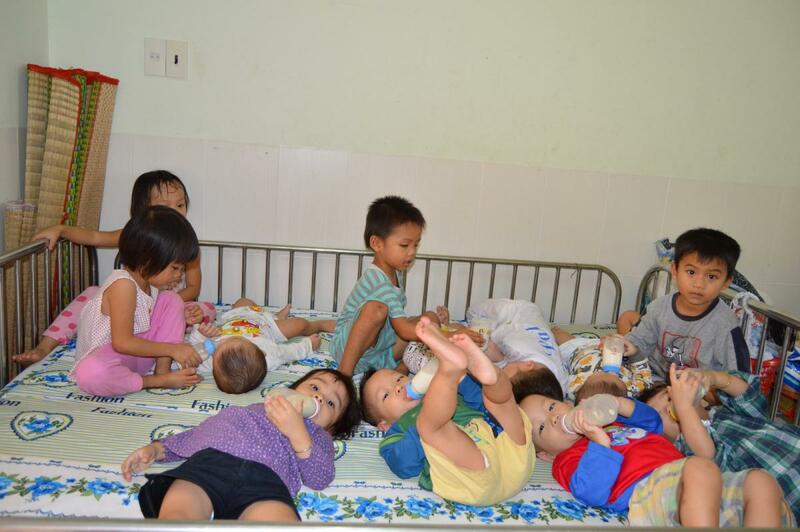 They had one request: baby formula. 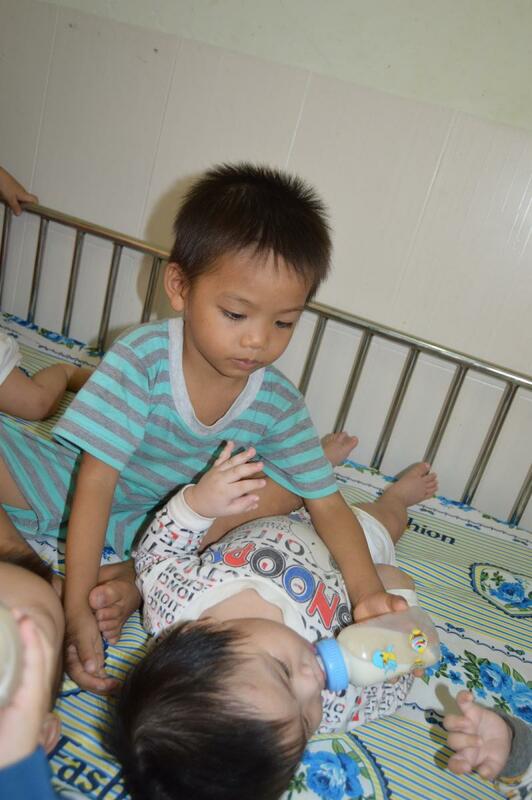 Nhan Ai has expanded since we first began helping them in 2009, and now care for close to 150 children, including 20 babies. 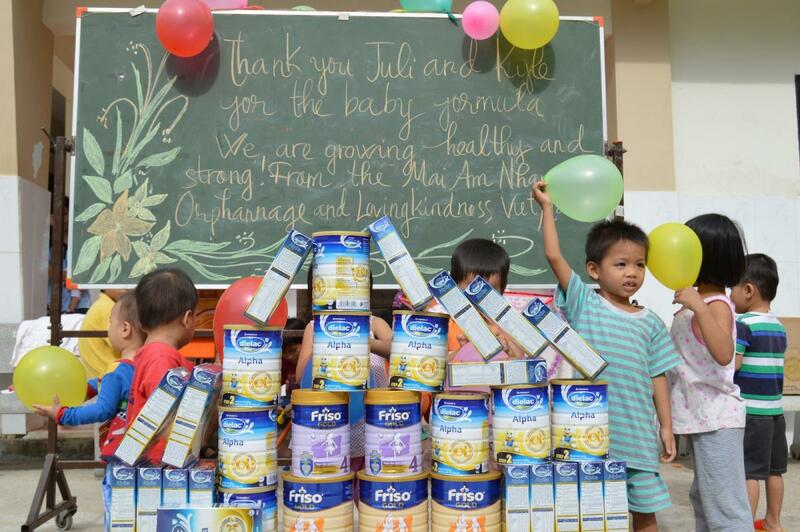 For the little ones to grow healthy and strong, baby formula is always in need. 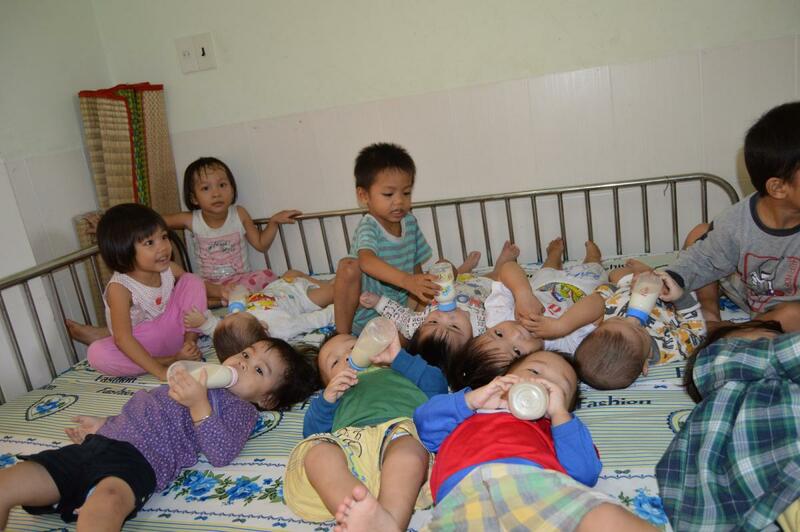 We brought the orphanage the necessary funds, and almost instantly it became a delicious baby bottle party! 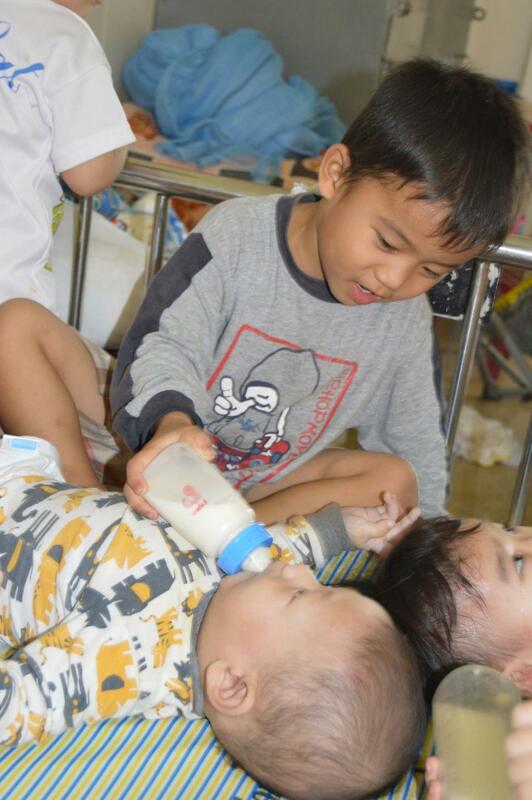 The babies enjoyed their new formula, and the young children were happy to help. It was a wonderful occasion. Thank you once again Juli and Kyle!